Margarine giant Flora has made all of its products suitable for vegans. 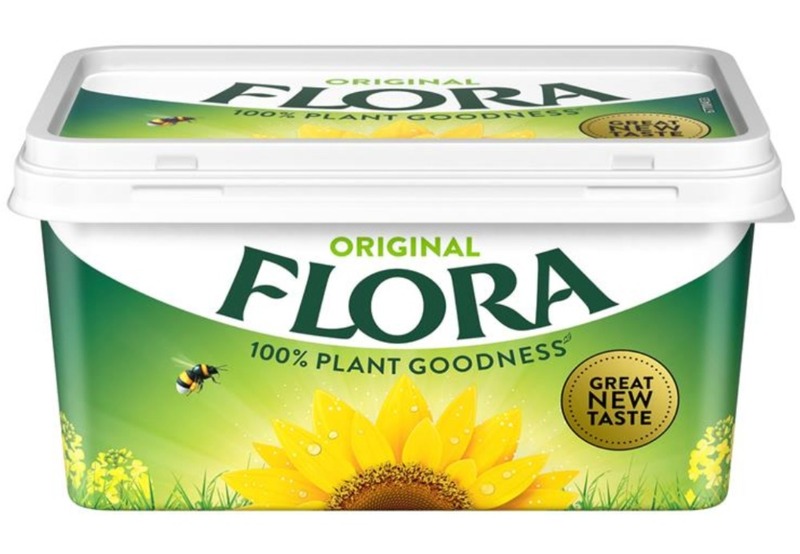 The company has confirmed to Plant Based News that the dairy has been removed from its range of four products - Flora Original, Flora Light, Flora Buttery, and Flora Dairy Free. The spreads are free-from preservatives, artificial colours, and flavors and are Vegan Society-certified. Due to its segregated manufacturing process the Flora Dairy-Free variant is also suitable for those with dairy allergies. The roll-out of the revamped products - which the company says now taste better - starts today, but customers should check packaging, to ensure they are buying plant-based products. "Health and well-being has never been so important to consumers, people care more about what goes into the products they are feeding themselves and their families, but they are not prepared to compromise on taste – and they shouldn’t have to," Steven Hermiston, UK & Ireland General Manager at Upfield - which owns Flora after buying it from Unilever - said. "With a great new recipe making Flora more delicious than ever, our new 100 percent plant goodness range can be enjoyed by the whole family. "Plant-based nutrition is at the heart of the Upfield business and Flora, with its plant goodness, is set to lead the charge and marks a key moment for us and the wider category."